Life doesn’t always afford us the luxury of closure. I’ve had an odd life, I think we all have. Life IS odd. Each life is individual in its own way. I was born to two teenagers. I lived two weeks in Shreveport, Louisiana and then travelled the USA with my adoptive family. My life stayed pretty close in to Shreveport, at the start. I moved only an hour away to Natchitoches, Louisiana. But then I would begin a circle of the country only to land two hours from Shreveport unexpectedly and apprehensively 40 years later. Closure, I often didn’t have it and, looking back, I suppose I found a way to cope with it. Closure was a luxury in my life with all the moving and all the times I was told I was moving again. As much as I didn’t want to repeat the pattern in my adult life, that is exactly where life found me until I said no. No more. Don’t get me wrong, there is a thrill in the life of adventure I was in. I could value it greatly on certain levels. What I missed, in my life, though, was a sense of home I still have yet to find. I have gone through life as a tourist with close friendships that were strong for a short time. I missed community. But I have seen more art museums than the usual person and more beaches, too. I’m good at spending time alone. What am I trying to say? I don’t know. Yes, I do. Sometimes, we feel loss. How to cope with it? Sometimes, you just get to a point where you let go. You either say yes, I accept this or no, I don’t .. and you fight for it. I look back on my life and all I have had to let go of. People, yes. Though I have hardly ever experienced loss through death, I have felt the loss of many people beginning with the people I was born to. But with almost every loss there is a new hello. I was brought a new family. At an early age, I learned to accept change. I can’t say I was always good at it, but with each loss in my life I learned to surrender or else not. Places are also more important to me that they are to the usual person. I have rarely been the same place twice. And some places I make a point to go back to more than twice. Going back to the same places is deeply comforting to me. Though I’m good with adventure, I seek familiar. The most peaceful place for me is beside or inside salt water. Maybe because it shares familiarity regardless of which body it is. I am thinking of losses today. I am thinking of right now. I am thinking of change. I am thinking of desire. Today, I’m also painting, preparing for Artoberfest on Galveston Island, this weekend. I’m in quiet, today, after returning from Shreveport’s Red River Revel. It was a wonderfully noisy event with just one brief moment of silence I will share with you. EXXOPOLIS. One of my new favourite places is as much like home to me as anywhere I have ever been. I’m the girl who wants to live at The Grand Canyon, or Glacier Park or in a teepee beside the ocean. Exxopolis entered my life by surprise but it is no surprise to me I want to live there. That last sentence will be the intro to my newspaper column I write next. Exxopolis is from England, but I suppose I could have one shipped to where I live .. 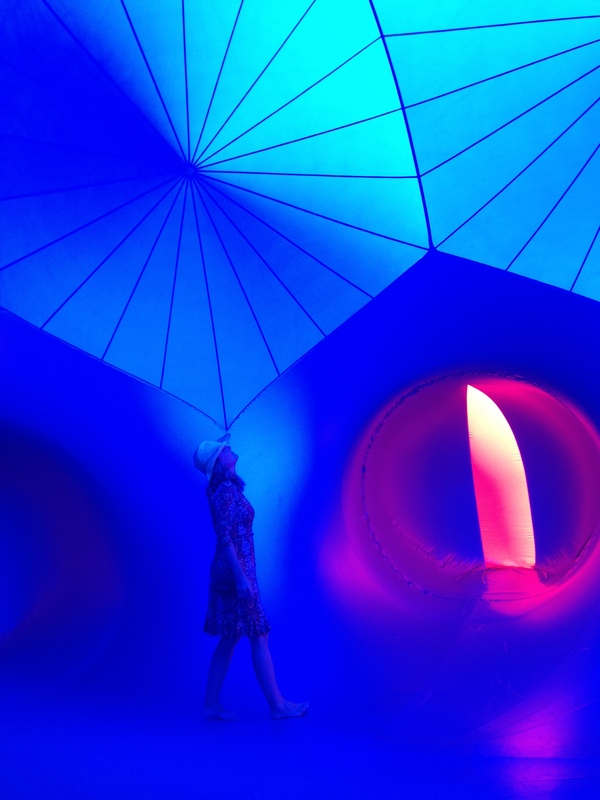 If you have a chance to visit an Exxopolis, “architects of air” structure, I highly recommend it. Alan, I am so happy to hear from you!! Thank you for your comment. I am beside myself happy you found my writings on EXXOPOLIS. I would like to write with you before I write my column. I relate much to what you say here. Although I grew up with my original parents and siblings, I also have a sense of having no home. It comes from moving frequently through childhood and perpetually starting over, never reaching or even visualizing an ending. Every day is always a beginning. Like you, I understand aloneness better than I comprehend continuous and consistent fellowship. If anything, alone is home, a “comfort zone”. I am the girl who always wanted to live in the Petrified Forest. We could have been neighbors – you and I, in the Grand Canyon and the Petrified Forest. And I dream of Iceland. I am looking forward to your next newspaper column. I want to know more of EXXOPOLIS. I want to know more of architects of air.This is a lovely blog entry.